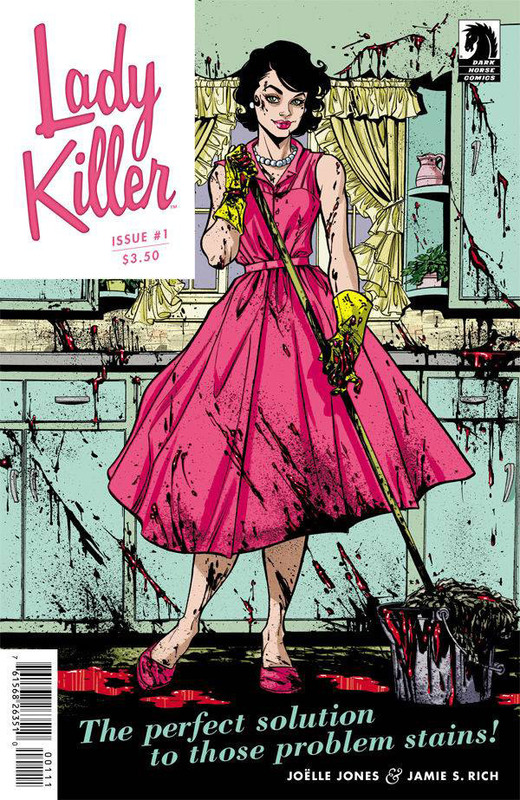 Inspired by 1960s romance and pulp culture, Lady Killer is a four-issue Dark Horse miniseries starring Josie Schuller, a ruthless and trained assassin for hire whose cover is going from door to door selling make-up and raising her twin kids. The story also a true work of love for Joëlle Jones. If you liked her work before, you’ll dig Lady Killer not only because it packs more red lips than You Have Killed Me and more skull smashing than Hellheim combined. No, the real reason why you’ll love this mini is because it’s a book where the creative fun just leaps off the pages and because Jones is unloading all the skills that are making her an artist everyone will be dying to work with. If not, she’ll have Josie serve every naysayer’s head on a silver platter to the incredibly offended comic book gods. This all-ages title from writer/artist Jorge Corona (Teen Titans Go!) is the story of Poe, a boy born covered in feathers. Always different and always set apart, Poe watches over the slums of the Maze from the safe distance of the rooftops. Occasionally, he secretly lends a hand and has thus earned the nickname, “ghost of the Maze.” Bianca is a strong-willed girl from the walled city who gets lost in the Maze, and Poe steps in to help her. He has also just made his first friend. To get Bianca safely home means that they will have to work together to avoid the dangers posed by the street gangs and child-snatchers. And if they are very fortunate, they just might uncover the mysteries of Poe’s past along the way. 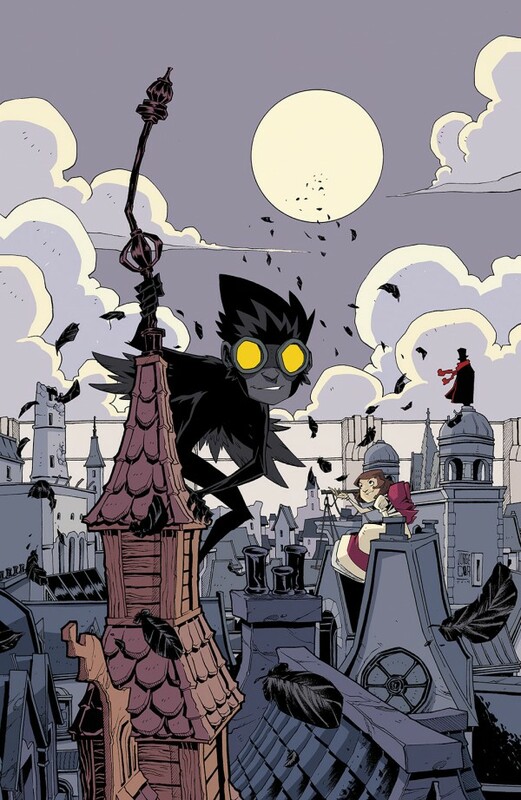 Feathers will engage the dark and light of life as seen through the eyes of two kids on the run and it should be an engaging story for comics fans of all ages. 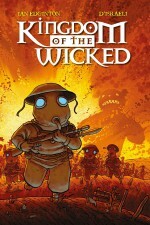 Back in 1997, when The Unwritten can’t have been more than a glint in the eyes of Mike Carey and Peter Gross, British creators Ian Edginton and D’Israeli dug into the rich possibilities of the relationship between authors and the universes they create in Kingdom of the Wicked, a mini-series originally published by Caliber. 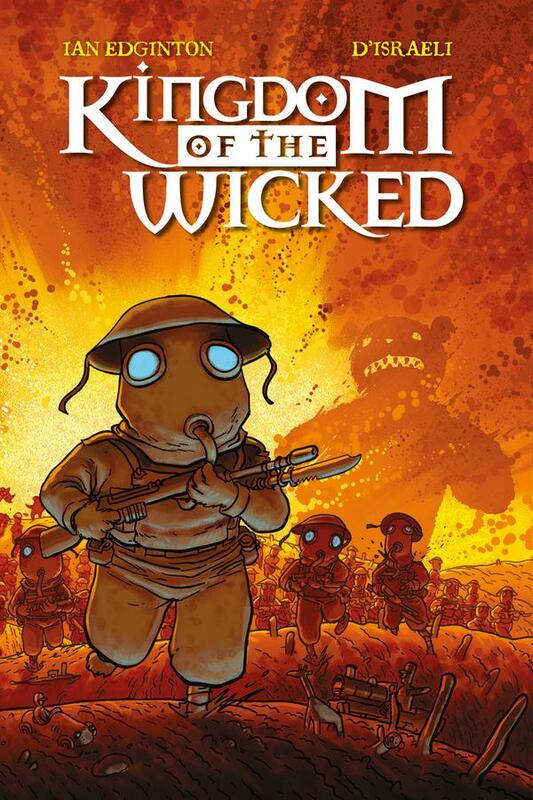 Kingdom of the Wicked tells the tale of Christopher Grahame, the greatest living children’s author. Plagued by the physical and psychological stresses of being a modern cultural phenomenon, he finds himself pulled back into visions of Castrovalva, a fictional world he created as a lonely child. However, war and famine have devastated the imaginary realm, and the author soon fears that he might be stuck in a nightmare from which he can never awake. 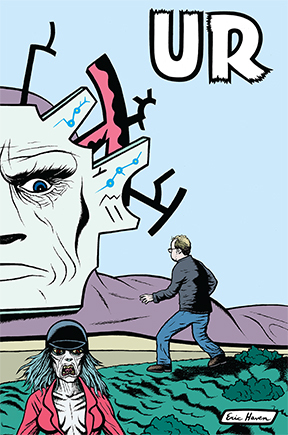 After a few years out of print, Titan Comics has produced a new hardback edition of the book, giving readers a great opportunity to reacquaint themselves with the first collaboration between a writer and artist who have forged a rich creative bond. What happens when the Marvel Universe loses one of its most beloved—and most profitable—characters? 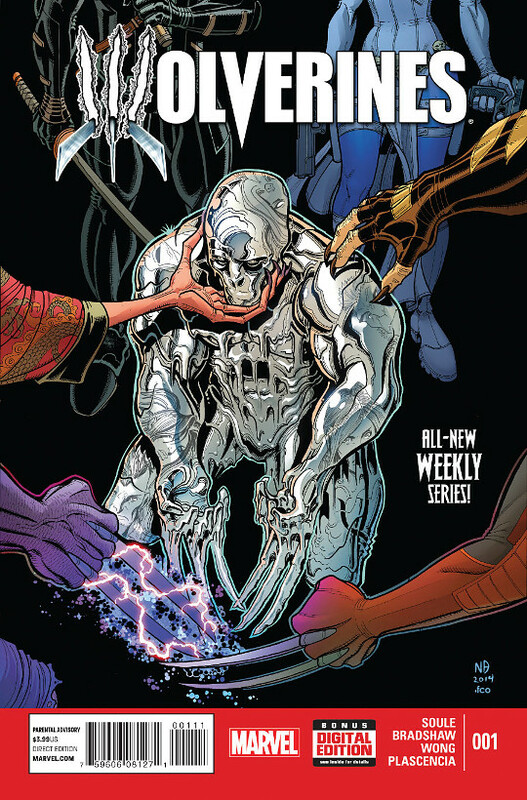 The answers to that question lay in Wolverines, the new weekly series spinning out of Death of Wolverine, The Logan Legacy, and The Weapon X Program. Even if you’re not up to date on the untimely demise of the hirsute Canuck, though, there are some very good reasons to pick up this first issue. Charles Soule, the guiding force behind the titles above, has proven his knack for excellent character drama, and alternating issue writer Ray Fawkes has a similar pedigree. That attention to character should come in handy with Wolverines’ ensemble cast, which includes such devious players as Mystique, Daken, X-23, and Sabretooth (illustrated in fitting popcorn-cinema fashion by the team of Nick Bradshaw and Walden Wong). The other big draw here is a healthy injection of mystery back into the Wolverine mythos. A mad scramble for Logan’s adamantium-encased remains and new insights into the character of Major Sharp should make for the start to an unabashedly entertaining adventure. 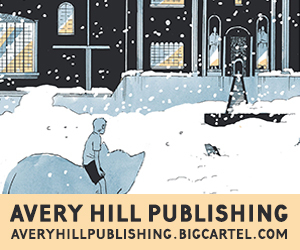 Adhouse Books and Eric Haven ring in the new year with a collection of previously published short stories that will challenge your perception of what constitutes graphic storytelling. These highly experimental narratives push the boundaries of the medium with a dark sense of humor that explores how we are transformed every day – sometimes without even realizing it. You might not get all of the stories contained within these pages but that’s okay. The artistic vocabulary is highly personal, the use of metaphor and symbols a language of Haven’s own invention. Despite this, UR refrains from descending into the impenetrable, skirting the edges of absurdist storytelling to challenge our stagnant notions of a medium only now realizing its own potential. 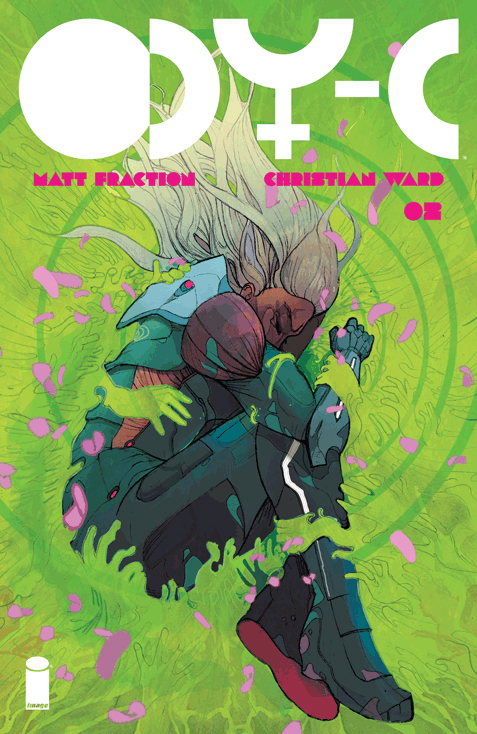 Needless to say this pick comes with the recommendation that you make sure you begin with the first issue (over-sized, with an 8 page foldout all for only $3.99) which began this gender-bending, eye-popping, psychedelic retelling of Homer’s epic poem, The Odyssey, set in outer space. In the aftermath of a galactic war a hundred years long, Odyssia the Clever Champion and her compatriots begin their longest, strangest trip yet: the one home. Odyssia and her crew are tempted by the deadly and dangerous Lotus Eaters, living sources of the most powerful narcotic in the galaxy. Staff Picks for July 4, 2018 – Escaping Wars and Waves, Royal City, Catwoman, Girls and More!